Manila, Philippines - The Official Gazette published proclamation no. 656 as Malacañang Palace declares Monday, October 28, 2013 as a special non-working holiday throughout the country for our countrymen to exercise right to suffrage on scheduled SK and Barangay Elections. Barangay Elections is scheduled to be held simultaneously with the Sangguniang Kabataan (SK) Elections on 28 October 2013, pursuant to Republic Act (RA) No. 9340, amending RA 9164. "It is important to give the people the fullest opportunity to participate in the said elections and exercise their right to vote. ", proclamation statement said. 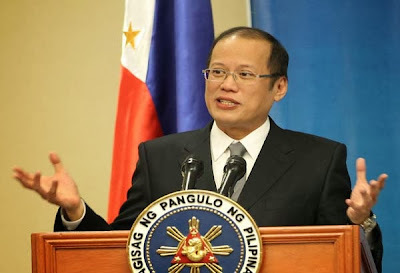 President of the Philippines, Benigno 'PNoy' Aquino III by virtue of the powers vested by law,hereby declare the special (non-working) holiday throughout the country for the Synchronized Barangay and Sangguniang Kabataan (SK) Elections. The proclamation was done in Manila last September 25, 2013. Barangay Election 2013 will be a manual election and not automated as the May 2013 national elections. The ballots will be blank and voters will be required to write in the name of the candidates that they want to vote for. In August 2013, there were 54,051,626 registered to vote in the elections in a total of 42,028 barangays throughout the Philippines.